This past week a good friend celebrated the annual passing of his father. During the religious ritual he told this story. His father and mother were both Holocaust survivors and most of their families died in the Nazi camps. His parents met at one of the camps and he was born in Europe. His father and mother came to America in the mid 40’s and had nothing. As immigrants, they worked hard to create a better and quality life for their children. My friend described his Dad as a strong and confident person and his father was his role model. His Dad was religious, hard working and built a small business to support the family. His Dad taught him that “giving to charity” was a part of life and made him part of the community. Later in senior life, this strong, gregarious and religious man suffered a stroke and was paralyzed for the last 8 years of his life. His wife also had health issues. Upon his wife’s passing and while he knew he had little time left, his son asked him what was the “secret of life” after all you and the family has been through. Without hesitation he said “Life that’s hard, can be made easy” and “Life that’s easy can be made hard”. I was very moved by the story and “words of wisdom” from my friends Dad and am sharing for all. 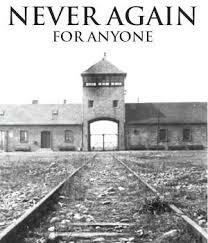 With respect for the memory of a Holocaust survivor and the way he and his family lived their lives. Steven R. Gerbsman, Principal of Gerbsman Partners and Kenneth Hardesty, a member of Gerbsman Partners Board of Intellectual Capital announced today their success in maximizing value for the assets and Intellectual Property of Tarsa Therapeutics, Inc. Tarsa is an NDA-ready company focused on advancing it lead product, TBRIA. TBRIA is a proprietary oral formulation containing recombinant salmon calcitonin for the treatment of postmenopausal osteoporosis. Communications with the Board of Directors, senior management, senior lenders, creditors, vendors and all stakeholders in interest. Gerbsman Partners focuses on maximizing enterprise value for stakeholders and shareholders in under-performing, under-capitalized and under-valued companies and their Intellectual Property. Since 2001, Gerbsman Partners has been involved in maximizing value for 103 technology, medical device, life science, solar, fuel cell, cyber security, consumer and digital marketing companies and their Intellectual Property and has restructured/terminated over $810 million of real estate executory contracts and equipment lease/sub-debt obligations. Since inception in 1980, Gerbsman Partners has been involved in over $2.3 billion of financings, restructurings and M&A transactions. Gerbsman Partners has offices and strategic alliances in San Francisco, Orange County, Boston, New York, Washington, DC, McLean, VA, Europe and Israel. Negotiated commercial treaties withEuropean nations Along with Ben Franklin and John Adams..
President of the American Philosophical Society. At 81, almost Single-handedly created the University of Virginia and served as its firstPresident. Of man. That happens to be way more than what most understand Today.